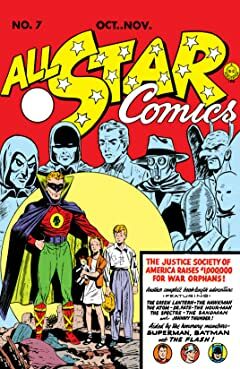 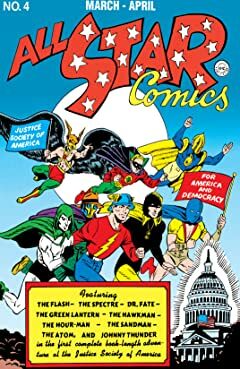 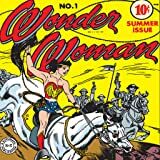 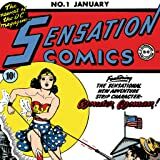 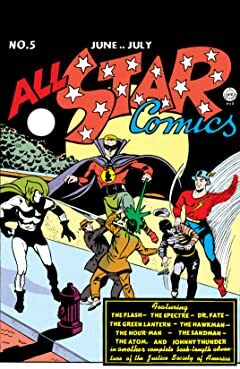 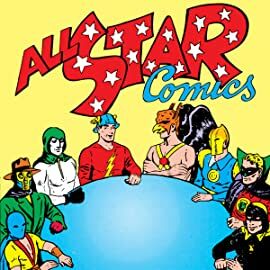 Best known for the debut and continued adventures of the world’s first super-team, the Justice Society of America, this series from the Golden Age of comics also showcases the first appearance of Wonder Woman in ALL-STAR COMICS #8. 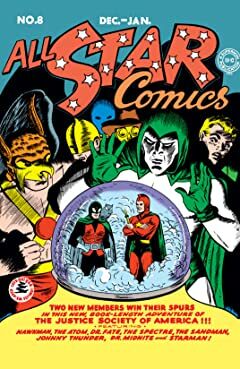 Test pilot Hal Jordan traces a downed aircraft to the Southwest desert, where he finds the dying Abin Sur, one of the Green Lantern Corps, whose ring chooses Hal to be Earth's new Green Lantern! 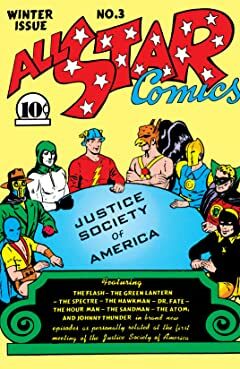 The first publication from DC Comics! 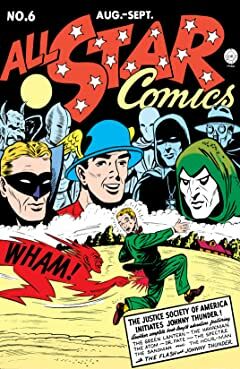 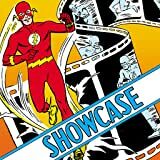 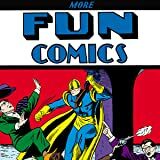 Featuring various tales of adventure and excitement and the first appearance of numerous superhero characters--including The Spectre, Aquaman and Green Arrow!